The Holy Door of the Archdiocese of Mumbai will be closed on 13 November. The cardinal will visit the sick and comfort migrants, as a simple pilgrim. Card Toppo will lead Mass for tribals. 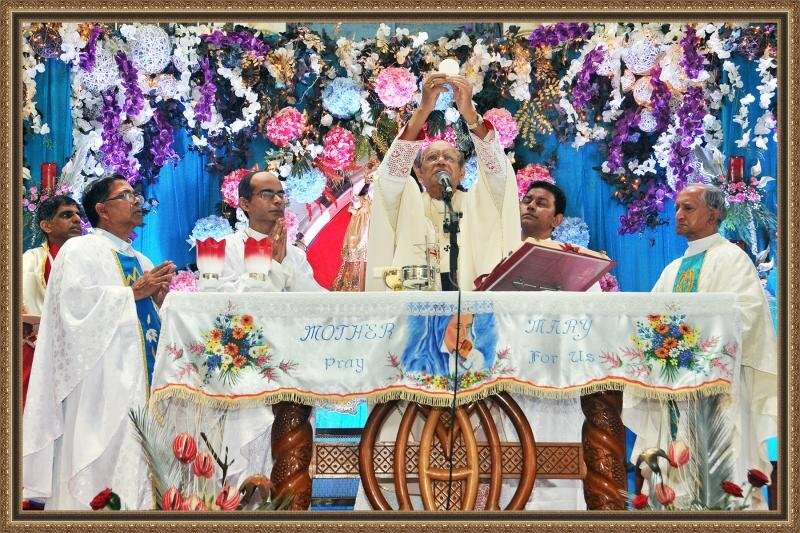 Mumbai (AsiaNews) – Card Oswald Gracias, archbishop of Mumbai and president of the Federation of Asian Bishops' Conferences (FABC), will be a simple pilgrim for two days in his diocese and will accomplish two works of mercy. Next Saturday and Sunday (5-6 November), he will visit the sick and bring consolation to tribal migrants in Mumbai. "For me it is very important to be a pilgrim,” he told AsiaNews. “We welcome God’s mercy in our lives. We experience the mercy of God's love addressed to each of us." As the Jubilee Year comes to an end on 20 November at the Vatican, the cardinal decided to make a pilgrimage to the Holy Door of the Basilica of Mount Mary Bandra, which he opened on 20 December 2015. Now he will go back as an ordinary believer before Mgr John Rodrigues, rector of the basilica, closes it on 13 November. On the evening of 5 November, he will go through the Holy Door to celebrate a Mass to mark the 30th anniversary of Shanti Sadan Avedna, India’s first hospice for elderly cancer patients, which is located a few metres from the Basilica. The facility houses more than a hundred seniors and offers them free medical care. According to the cardinal, the Shanti Sadan Avedna "is a unique memorial to the Year of Mercy. Here terminally ill people – especially the poor and needy – are treated free of charge, regardless of their religion or caste." On 6 November, the cardinal will attend a Mass for many the tribal migrants who moved to Mumbai in search of work. They come mostly from the states of Jharkhand, Chhattisgarh, Orissa and West Bengal. The men work mostly as construction workers, drivers or security guards. The women work as domestic servants in the homes of the wealthy. The Migrant Chotanagpur Tribal Development Network (CMTD), a socio-pastoral movement, is organising the Mass, which will be followed by a cultural programme. Invited by Card Gracias, Card Telesphore Toppo, archbishop of Ranchi and an ethnic tribal, will lead the service. "I invited Card Toppo,” Card Gracias said, “because we are going to meet migrant workers after the liturgy and talk to them about their living conditions and concerns. We want to find ways to improve their lives." About 10,000 tribal migrants are expected to attend. "Pope Francis invited us to care for those living on the margins, the poor and alienated from society," Card Gracias said.